For the second year in a row, Truman’s forensic union has earned Missouri’s Harold Lawson Debate Championship. The team competed Feb. 16 and 17 at the Missouri Association of Forensic Activities championship tournament, hosted this year on Truman’s campus. 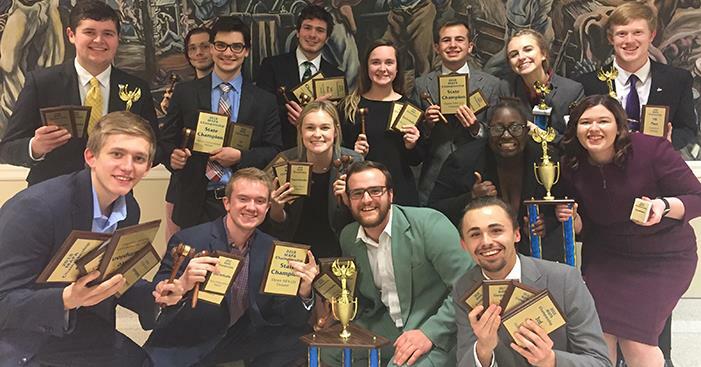 In addition to winning the open debate division of the tournament, the team placed third in the Bob Derryberry Overall Sweepstakes and a number of other individual titles and state championships. In individual events, sophomore Austin Sopko reached finals in four of his six events. He would go on to place sixth in poetry interpretation, fifth in after dinner speaking, fourth in oratory and third in dramatic interpretation. Additionally, Sopko’s ranking in after dinner speaking qualified the event to the national tournament, giving him six national qualifications, the highest number of speech qualifications in Truman forensics’ recent history. Sophomore Rebecca Walker also advanced to the oratory final, where she placed seventh. First-year Travis Stahlman took his informative speaking to the final round, where he placed fifth and earned his first national qualification. First-year Maguire Radosevic was next out of finals in extemporaneous speaking, earning him a top novice award. Finally, first-year Audrey Baker was awarded top novice in dramatic interpretation and placed sixth in program of oral interpretation, which makes for her fourth national qualification. Baker also placed second and earned top novice oratory. Baker’s second place in oratory qualifies her to go to the Interstate Oratorical Association tournament in April. This is the oldest oratorical association in the nation, dating back to 1874, and the speeches of attendees will be published in the annual collection of “Winning Orations.” Only the top two students in oratory for each state are eligible for the tournament, and Baker faced stiff competition to earn her place, joining an elite group of speakers from around the nation. Truman forensics competed in two categories of debate, parliamentary debate and Lincoln-Douglas debate. In the novice division of parliamentary debate, first-year Riley Dawkins was named sixth best speaker in the division. First-year Cami Smith placed third and fellow first-year Eric Martin placed first, making him the state champion speaker in novice parliamentary debate. Additionally, Smith and partner Peyton Gilbert were named the state champions in novice parliamentary debate. This is the sixth consecutive state championship for Truman in this event. In the open division of parliamentary debate, three pairs of debaters made it to elimination rounds. Senior Kelsey Barnes and junior Tyler Behymer were named quarterfinalists, joined by sophomore Caleb Daniels and first-year Radosevic. Senior Connor Stewart and junior Johnathan Christy advanced to the finals, where they won the tournament and the state championship in the open division of parliamentary debate. This is the second and third state championship in this event for Stewart and Christy, respectively, each having won in the past with different partners. Additionally, Radosevic was named sixth best speaker in the state, Stewart was named fifth and Barnes was named third. Christy was named the state champion speaker in open parliamentary debate. In Lincoln-Douglas debate, Eric Martin placed second in the novice division and was named fourth best speaker in the state in novice LD debate. In open LD debate, Truman debaters took up five of the six top speaker awards. Smith was named sixth speaker, Radosevic fifth speaker, Christy fourth, Behymer third and Daniels took home the state championship speaker award in open Lincoln-Douglas debate. Five out of nine LD debaters advanced to elimination rounds: Smith, Radosevic, Christy, Behymer and Stewart. Based on preliminary round seeding, Radosevic and Christy advanced to semi-finalists over Smith and Stewart, respectively. Christy and Radosevic both ended the tournament as semifinalists. 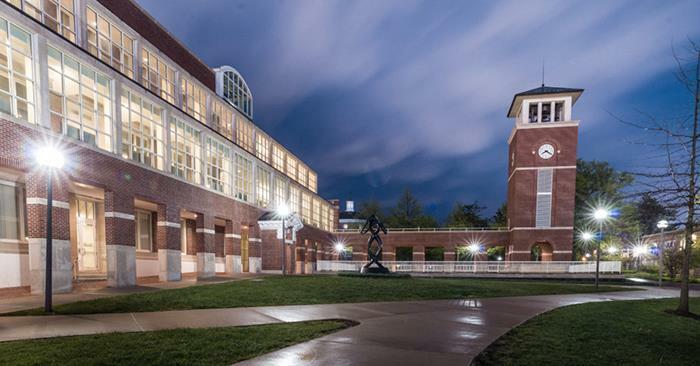 Behymer, however, advanced to the finals where he defeated Missouri State’s Parker Hopkins in a hard-fought final round, making him the tournament and Missouri State Champion in Lincoln-Douglas debate. 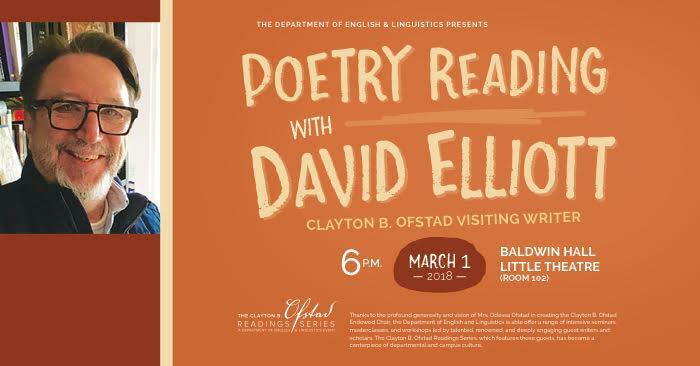 New York Times bestselling author David Elliot will read his work at 6 p.m. March 1 in Baldwin Hall Little Theatre as a part of the Clayton B. Ofstad Reading Series. Sponsored by the Department of English and Linguistics, this event is free and open to the public. Trained in classical voice, Elliot has worked as a singer in Mexico, a cucumber washer in Greece, a popsicle stick maker in Israel and a teacher in Palau. For many years, he taught English to Speakers of Other Languages. His interest in writing for children began when his son, now 30, was a toddler. Recently retired from Colby-Sawyer College where he was a professor in the creative writing program, he now writes full time. Elliot is one of the founding mentors of Lesley University’s low residency program in creative writing, where he still teaches. He lives in New Hampshire with his wife and their dandie dinmont terrier, Queequeg. From Feb. 26 through March 2, the Student Philanthropy Council will sponsor the annual Student Giving Campaign. This campaign gives students the chance to work together to make a difference in their student experience. Three student-run crowdfunding campaigns will be featured in a competition for match money from alumna donor Colleen Ritchie (’84). The campaign with the greatest number of students donating $5 or more will received a $2,000 match. The second-place campaign will receive a $1,000 match and the third-place team will receive a $500 match. The three featured campaigns this year are the Bike Co-op, the Women’s Resource Center and KTRM. 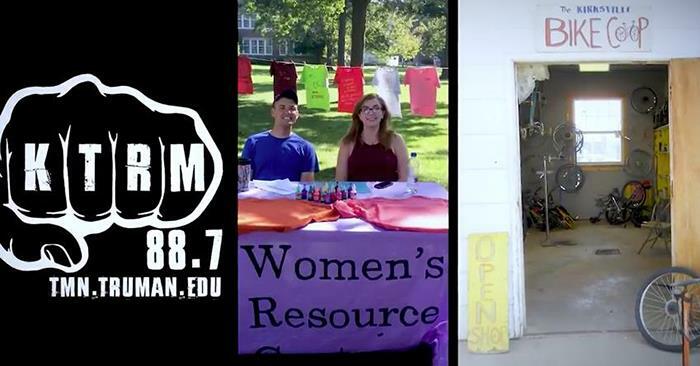 The Bike Co-op is raising money for their new bike share program on campus, the Women’s Resource Center is raising money for free on-campus STI testing and KTRM is raising money for equipment and music updates. Students can do their part by donating at trucampaigns.truman.edu. 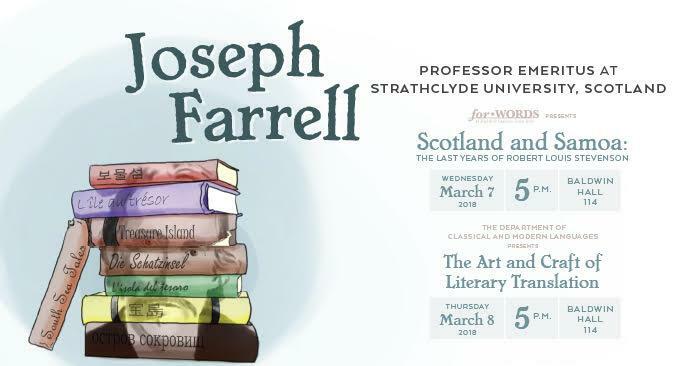 Internationally renowned translator and author Joseph Farrell, professor emeritus at the University of Strathclyde in Scotland, will present “Scotland and Samoa: The Last Years of Robert Louis Stevenson” at 5 p.m. on March 7 and “The Art and Craft of Literary Translation” at 5 p.m. on March 8 in Baldwin Hall 114. 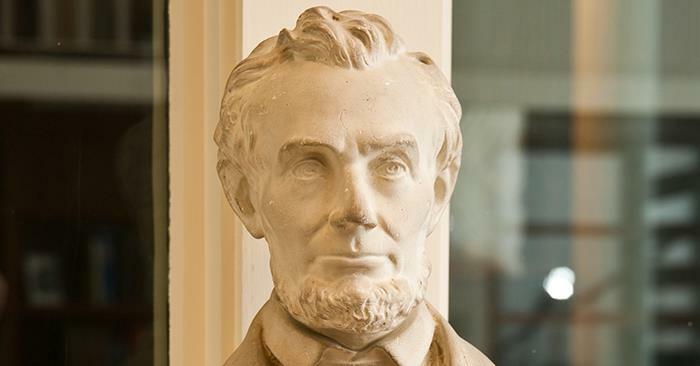 Samuel Pickler was a member of the University’s first graduating class, and thanks to a substantial financial contribution when the school was in need, his name is familiar to generations of students. Along with Old Baldwin Hall, the fire of 1924 destroyed the campus library. Soon after, Pickler made a $25,000 contribution toward the construction of the building that still bears his name. During its 90-plus years, Pickler Memorial Library has undergone numerous changes to maintain its role as one of the most important buildings on campus. A major addition coincided with the University’s centennial in 1967. 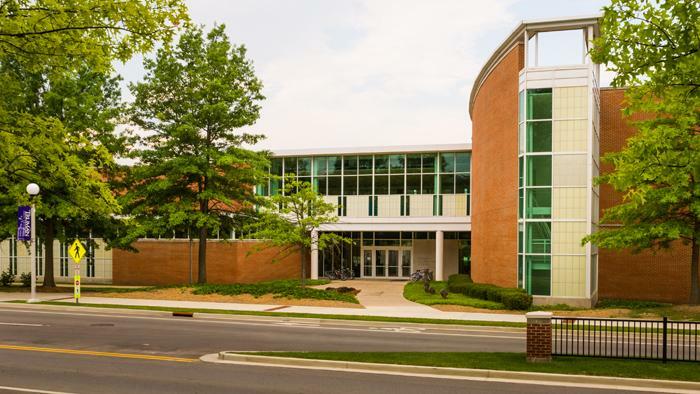 The early 1990s saw a massive renovation and expansion project that brought the structure’s total square footage to more than 115,000 and gave the building the look many people associate with it today. That time period was also when Truman’s famous clock tower was installed. Ruth Warner Towne (’39), a longtime faculty member, donated the tower bells in honor of her parents. Today, Pickler Memorial Library is a vibrant student space with a print collection of more than 500,000 volumes, access to thousands of online journals and databases, and collaborative and tech-centric learning spaces. The library continues to support the curriculum through its services, resources and the preservation of collections of historic interest. Visit library.truman.edu for more information. 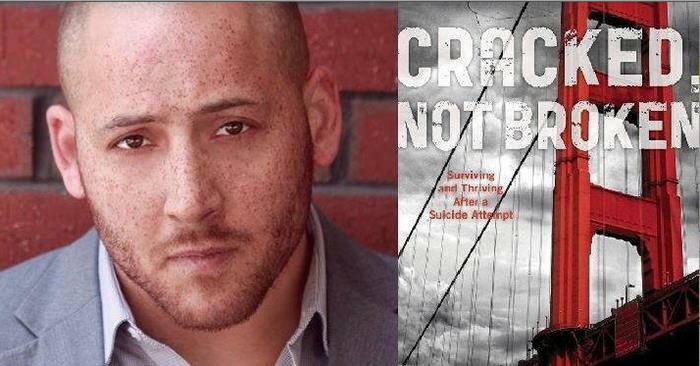 Kevin Hines, a suicide survivor, activist, storyteller and filmmaker, will share his story at 7 p.m. March 27 in Baldwin Hall Auditorium. In coordination with Hines’ presentation, Truman organizations will be hosting a Mental Wellness Week. More information, as well as times of the events, will be posted to the Master Calendar in days to come. In preparation for career week, neck ties will be available for purchase from 8:30 a.m.-3:30 p.m. Feb. 26-27 at the West Entrance of Violette Hall. Neck ties will be sold for $5 each and come in three solid colors: black, light purple and dark purple. For more information, contact Quinn Miller. 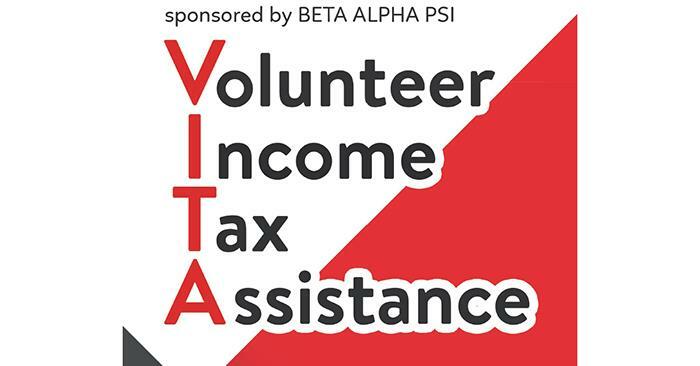 Phi Beta Lambda will host their second open workshop from 6-7:30 p.m. Feb. 26 in Violette Hall 1146. The workshop discusses campaigning and leadership. 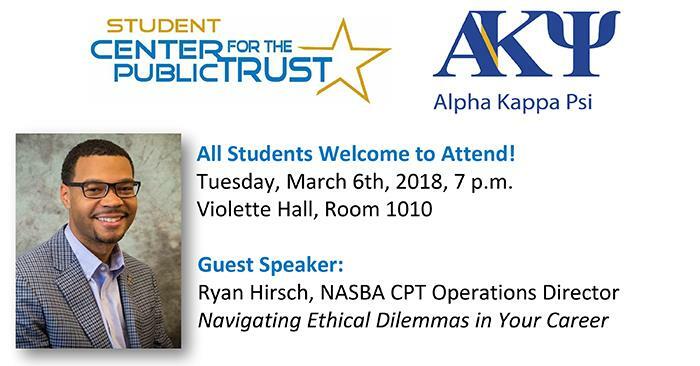 National PBL president Kimberly Clark will provide tips on how to run for student office and how to be a leader in everyday life. She has worked on three national student-ran leadership teams and has assisted local and state government officials during her educational career. The workshop will last 30-40 minutes. For students interested in feedback, Clark is available after the workshop to discuss campaign platforms. Phi Beta Lambda welcomes anyone to attend any two PBL workshops a semester. PBL is the career prep organization on-campus. They assist members in broadening their perspectives on different lines of employment, gaining transferable skills and developing leadership. 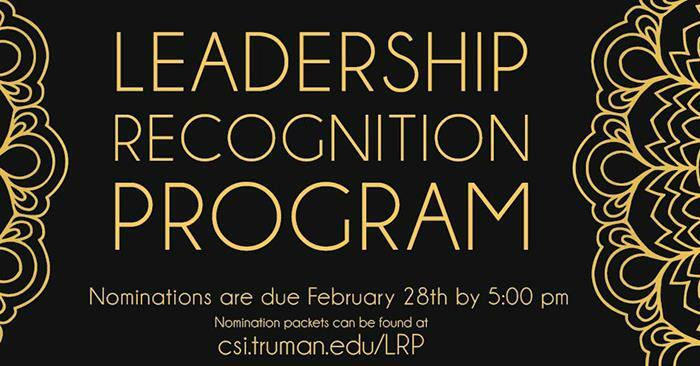 For more information, email Taylor and Monica at pbltruman@gmail.com. Updates can be found on the Facebook event page. There are two upcoming Safe Zone trainings for interested faculty and staff members. The first will take place from 10 a.m.-12 p.m. Feb. 28 in the University Art Gallery in Ophelia Parrish. The second is from 3-5 p.m. March 2 in McClain Hall 208. Those interested in participating can register here. 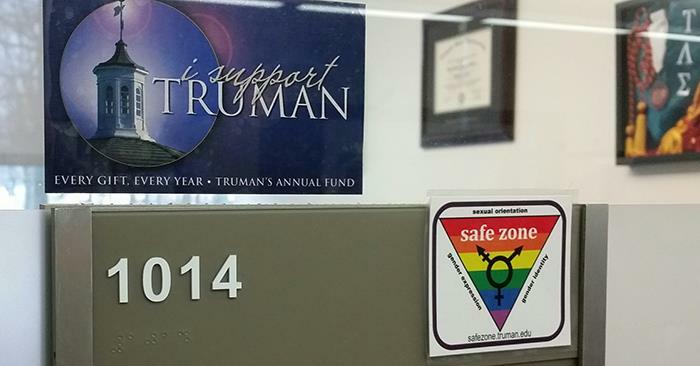 The Safe Zone program was created to have a network of knowledgeable faculty and staff in order to create safe and welcoming environments for lesbian, gay, bisexual, transgender and questioning (LGBTQ) people. Completing the training and displaying a Safe Zone sign indicates participants are committed to increasing their knowledge of LGBTQ issues and challenging homophobic and heterosexist comments or behaviors in an educational and informative manner. Safe Zone members are able to provide assistance as needed, including referrals to University Counseling Services. Summer Pennell, assistant professor of English education and longtime LGBTQ education activist, along with student interns, will lead this interactive training. Participants will learn current terminology and simple ways to create a welcoming campus environment. 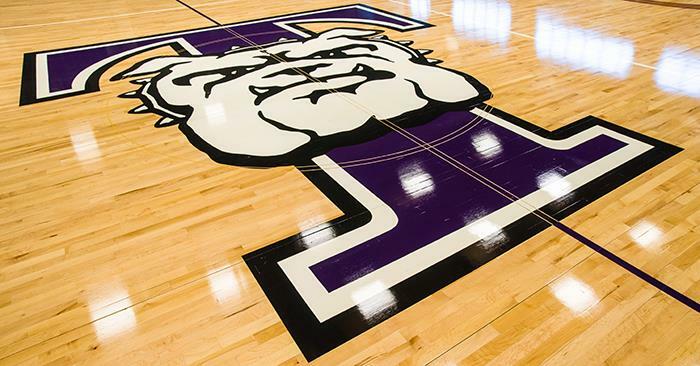 An informational meeting on athletic training and the Truman Master of Athletic Training program will occur from 4:30-5 p.m. March 1 in Pershing Building 233. A career in athletic training includes injury evaluation, injury rehabilitation and treatment and program administration. Athletic training works closely with medical professionals to provide overall care and treatment to a variety of physically active individuals. Information about the application process will be discussed at the meeting. Classes begin in July. 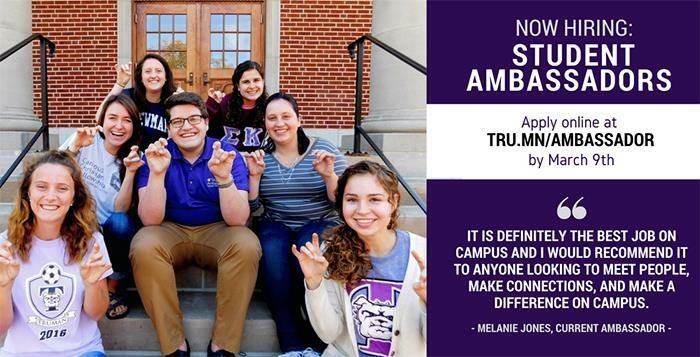 For more information, contact Brandy Schneider at bschneider@truman.edu or visit truman.edu/mat. Internationally renowned percussion artist and composer Dave Hall will perform a recital at 8 p.m. March 1 in Ophelia Parrish Performance Hall. Prior to the recital, Hall will host a performance clinic at 12:30 p.m. in Ophelia Parrish Hall 2340. Sponsored by the University Department of Music and the Truman Percussion Society, both events are free and open to the public. 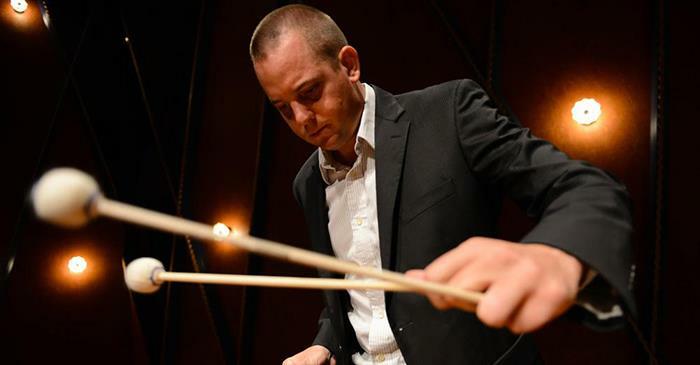 Hall is an assistant professor of percussion and jazz studies and coordinator of the percussion program at the University of Nebraska. As a result of his diverse skills as a percussionist and omnivorous musical approach, Hall regularly performs as a solo marimbist, drummer, orchestral percussionist and steel pan artist. He has regular engagements in the United States, Spain, Puerto Rico, Belgium and at the Umbria Jazz festival in Perugia, Italy. His works for percussion have been commissioned, performed and recorded around the world. Combining engaging harmonies and rhythms with complex textures and imaginative colors, his music was called “the aural equivalent of a Dali painting” by the New York Concert Review. For more information, contact Michael Bump, professor of music, mbump@truman.edu, 660.785.4052. 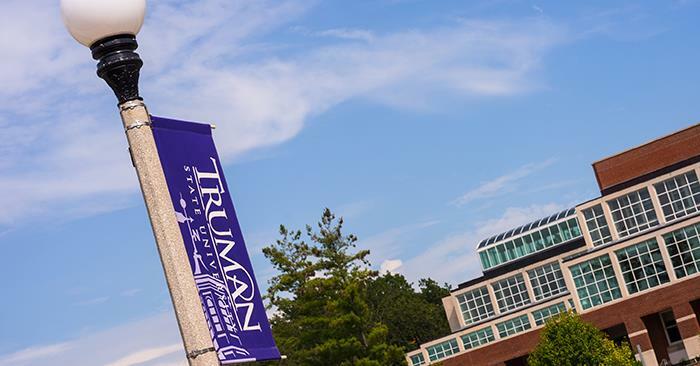 The Truman Upward Bound project is currently seeking a foreign language instructor and a performance prep/variety show instructor to work with area high school students while they are participating in a six-week on-campus college simulation. 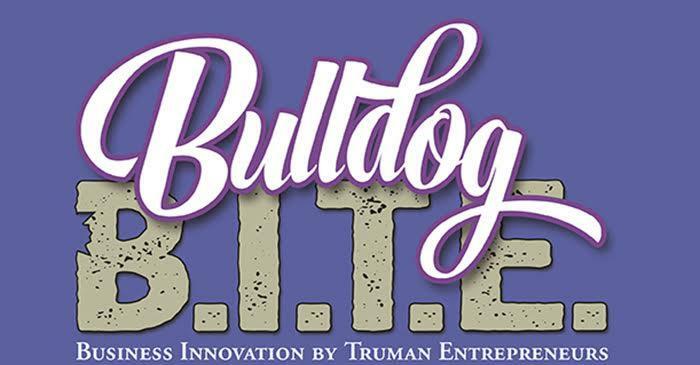 This paid position provides a high-impact learning experience that will help upper level Truman students gain valuable on the job training, build their resume and develop non-cognitive skills necessary for future employment. Applications can be filled out under the employment opportunities link at ub.truman.edu. 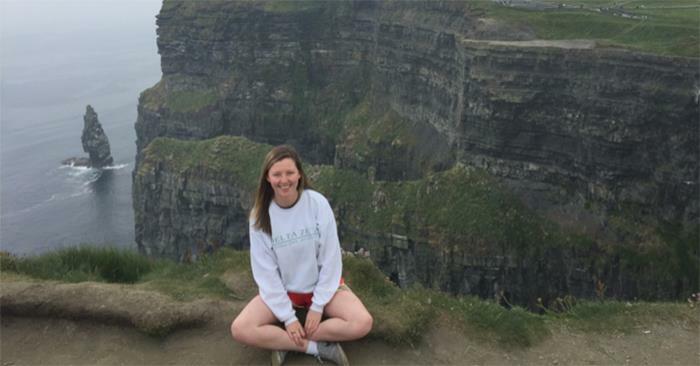 Samantha Carroll, a sophomore double major in psychology and justice systems, had her paper, titled “The Crime of Poverty: The Rise and Fall of the Workhouse from Elizabethan England to Kansas City, Missouri,” accepted for publication in Metamorphosis, the COPLAC undergraduate research journal. This paper will be presented at the 2018 Student Research Conference and the 2018 Iowa Human Rights Research Conference in Pella, Iowa. Upon publication, the paper can be found here. 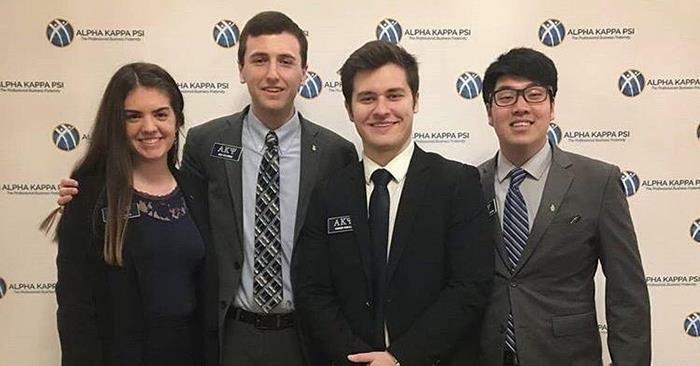 Parker Arnall, Thanaphat Chananukul, Ben Collins, Joey Goldman and Tori Kleitz, members of Alpha Kappa Psi, created and presented a project as a part of the Alpha Kappa Psi National Case Competition Feb. 9 at the Principled Business Leadership Institute in Chicago. The team was prompted to create a business concept that addresses one or more of the 20 metrics for the United Nations’ Transforming our World: The 2030 Agenda for Sustainable Development. In the end, the team decided to pitch a business that developed a mobile application or website that made charitable donations and volunteering easier for businesses and employees. Out of hundreds of submissions, theirs was chosen amongst 16 to advance to the next round. After presenting their business concept, they received second place, making them one of the top eight case competitors in the country. Members of the Alpha Kappa Psi Case Competition team from left to right: Tori Kleitz, Joey Goldman, Thanaphat Chananukul and Parker Arnall. 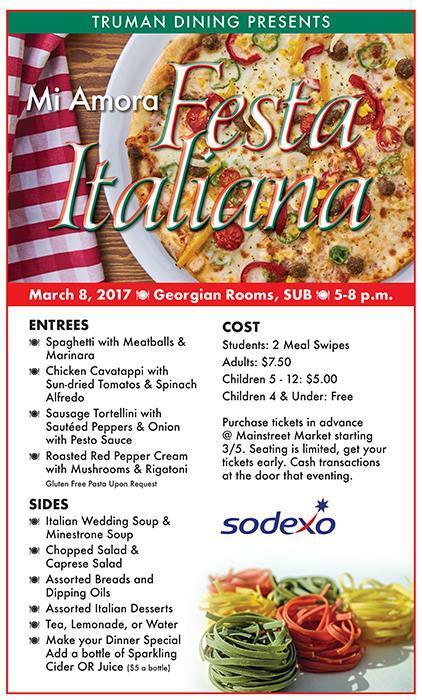 For more information about each event, click here. 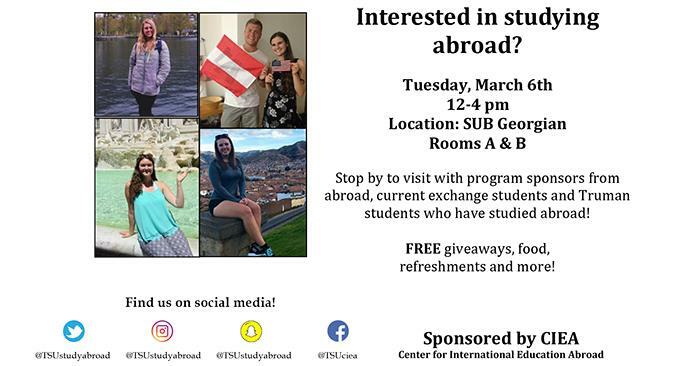 Interested students can attend a round table talk with study abroad adviser Rosa Virginia Mendez from 11 a.m.-12 p.m. March 2 in the Study Abroad Office, Baldwin Hall 106.